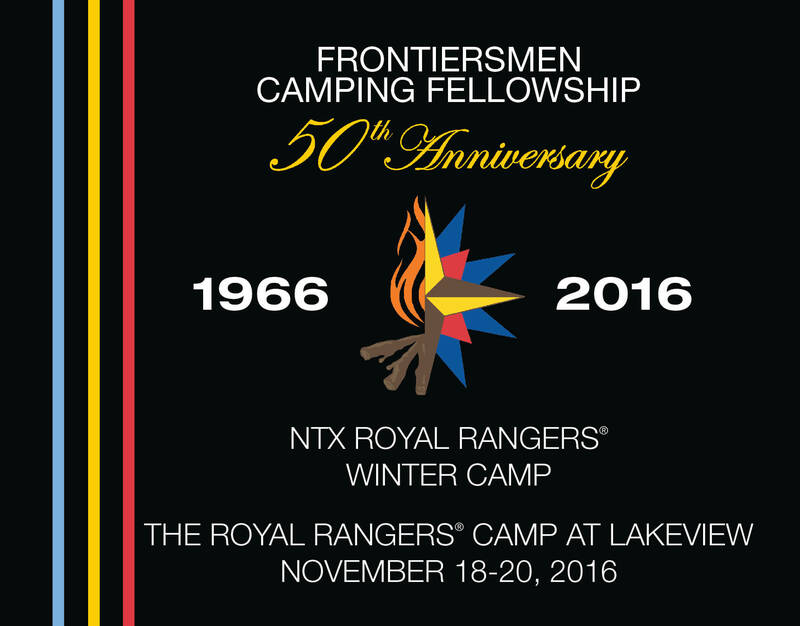 In 2016, to celebrate the 50th anniversary of the Frontiersmen Camping Fellowship (FCF), the North Texas Royal Rangers went with an FCF-theme for its annual Winter Camp. 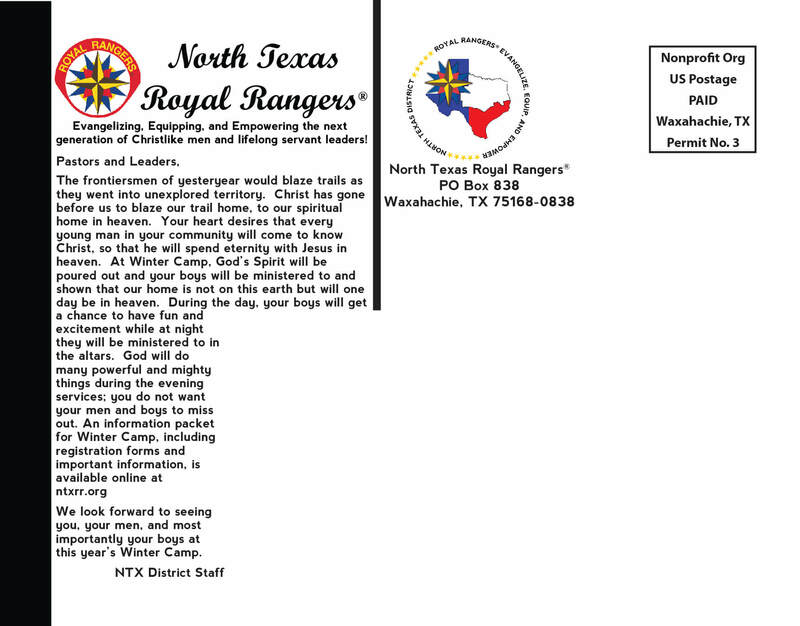 On the front of the postcard, I took part of the FCF flame used in various logos for the organization over the years and part of the Royal Rangers starburst to create a custom logo for the 50th anniversary for use in our district. In the background, I went with a solid black background with stripes for the three types of points in the Royal Rangers Emblem.